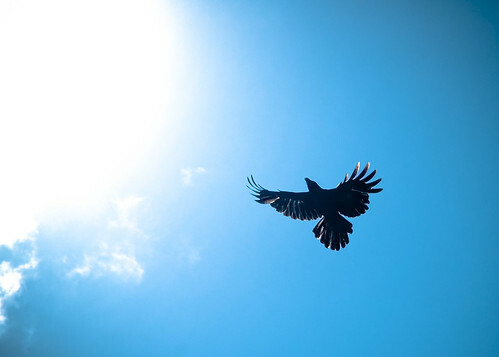 Crows - Towards the sun i fly, not as Icarus. I spent about half an hour in front of my office after lunch shooting crows. i think this is the best one. Did a bit of post processing on Lightroom. not sure if its a bit too much..